Rendis took a perfectionist approach to this magnificent new build property. 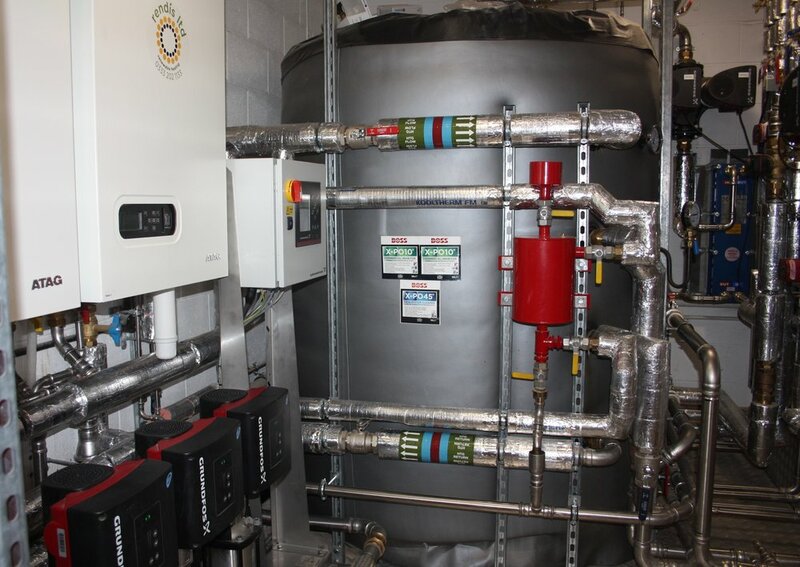 Rendis designed and installed a superior high efficiency ATAG 140 kW gas heating system complete with a 3000 litre Cordivari buffer tank connected to the integrated swimming pool and spa/entertainment centre. This commercial gas system and hot and cold pipe work was installed completely in 316 Stainless Steel. The under-floor heating system comprises of Emmeti and Solfex controlled by remote Heatmiser neoStats. The master bathroom suites are installed with the ultimate in bathroom fixtures, DornBracht-Rain Sky. Delivering 60 litres per minute in the shower spa for the perfect spa experience. The property is over 18,000 square feet of luxury design, a truly unique property.